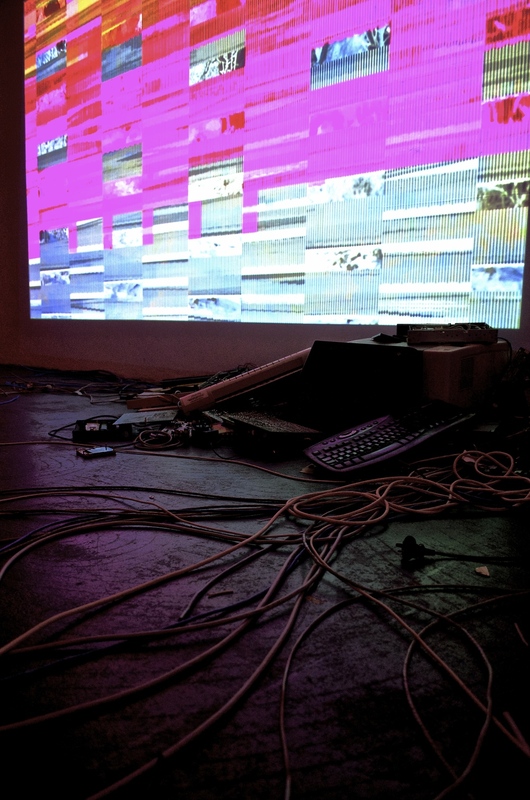 Error Message is an installation work comprised of digital audio-visual elements that engages with the aesthetics and methodology of "the glitch", aggregated with found sculptural elements comprised of e-waste. The work seeks to explore the underlying materiality of the digital, and the relations of production that constitute and sustain the aura of the digital. The generic desktop landscape wallpaper, given both its ubiquity and its implicit gesture towards a romanticised yet simulated environmental exterior, is employed as an aesthetic and conceptual departure point, as well as the original data-input for these explorations. The installation was accompanied by a text which is available here.